18 x 24 Colored Pencil on Paper. 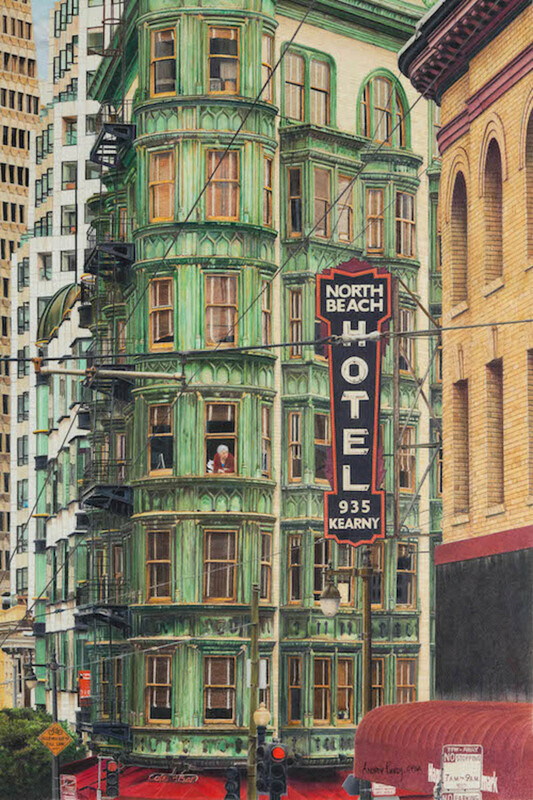 The green building that sits in San Francisco, CA at the intersection of Kearny, Columbus and Pacific Ave downtown. The building houses the Zoetrope Cafe at street level and the offices of American Zoetrope Productions, owned by director Francis Ford Coppola.